Meadow Brick Works, Braidwood, Carluke. John McDonald operated the works which were situated on the opposite side of the road from Scott’s Tea Room. 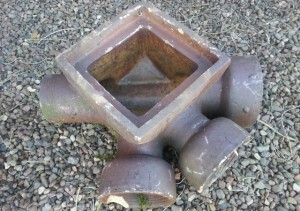 They operated from c. 1886 – c. 1920 and manufactured composition and fire bricks. Partners Charles McDonald and William Barr dissolved partnership 30th April 1910. 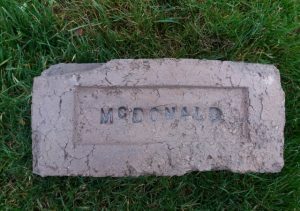 McDonald bricks were used to build the machine foundations of the Terracotta Works at Cleghorn. 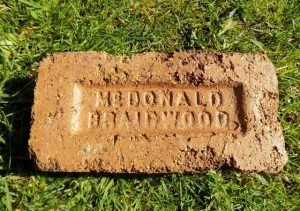 Below- 1886 – John McDonald, Composition and fireclay brick manufacturer, Meadow Brick Works, Braidwood, Carluke. 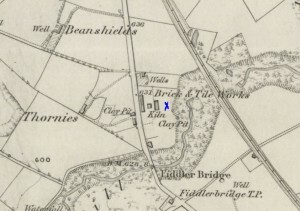 Below – 1896 – Meadow Brickworks, Carluke. 1903 – McDonald John. Meadow brick works, Braidwood, Carluke. 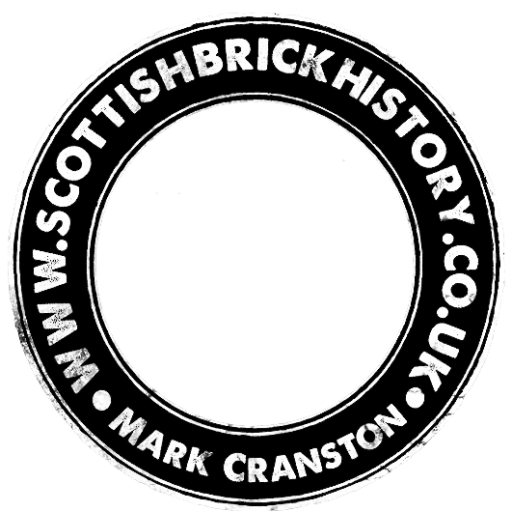 24/07/1909 – Carluke and Lanark Gazette – Article re a break in to the offices of teh Meadow Brick Works, Braidwood. 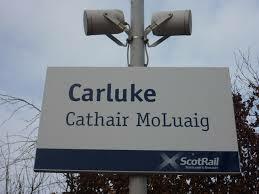 Reference to Samuel Crawfors, Mount Stewart Street, Carluke being the foreman and Charles McDonald being a senior partner in the firm owning the brickworks. 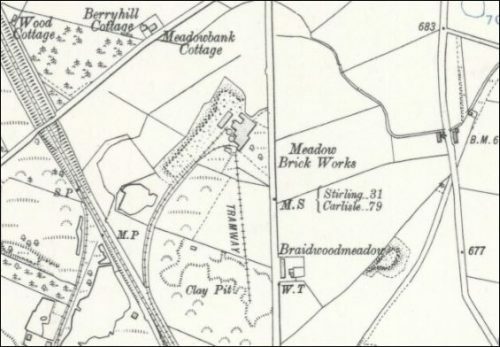 Below – 1910 – Meadow Brick Works. 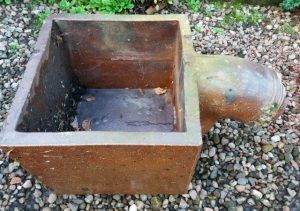 Found by Ian Suddaby in Carluke. 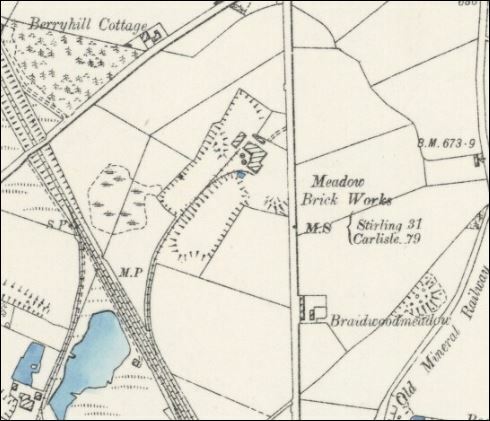 Meadow Brickworks, Braidwood, Lanarkshire. Subtle differences between my similar brick. 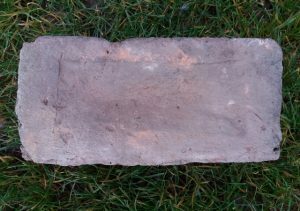 The distance between the lines of text is different as is the spacing between the letters. . . .
Found in Glasgow by CFA Archaeology Ltd between 2010 and 2011 during archaeological works in advance of the development of the Commonwealth Games Athletic Village at Dalmarnock, Glasgow. The brick was disclaimed by Treasure Trove. John McDonald Comely Park Glasgow. . . .
Comely Park Brick Works, Glasgow. 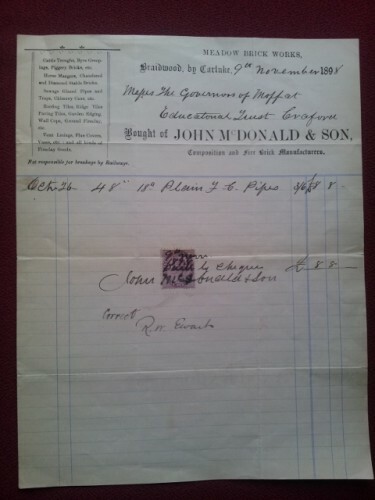 1870 – 1871 – McDonald, John, brickmaker, Comely Park house, Comely Park Street, Glasgow. 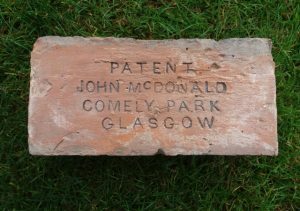 1871 – 1872 – McDonald, John, brickmaker, Comely Park house, Comely Park Street, Glasgow. 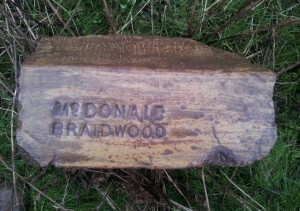 Found at Meadow Brickworks, Braidwood, Lanarkshire Meadow Brickworks, Braidwood, Lanarkshire. . . . .